Happy Fall Break! 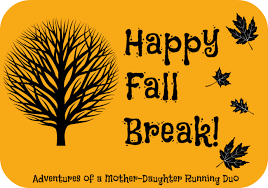 I hope you enjoy a restful and relaxing break together as a family. Students have put in a lot of hard work these first 10 weeks of school, and have certainly earned a few days off. Be sure to check out some learning experiences in the Indianapolis area if you're staying in town! I like www.indywithkids.com to find ideas. Read a blog post together (we have been working on blogging in class), and write a comment to the writer about his/her post. Be sure to give helpful and specific comments to the author. Discuss with your child how blogging and commenting is like a conversation that takes place in a digital space. We had a lot of fun celebrating fall break this afternoon. Students painted pumpkins, created a Thankful Tree, played games, and ate snacks. It was a great day! Thank you to the wonderful and generous volunteers who coordinated the events for the fall party. 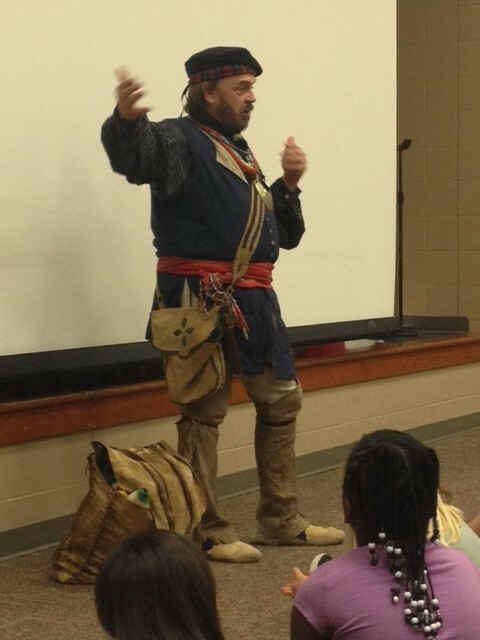 Guest speaker, Kevin Stonerock, came to school on Thursday to teach us about how Europeans and Native Americans traded goods to help benefit one another. In our text, we learned about the Columbian Exchange and how groups of people influence each other in intentional and unintentional ways. 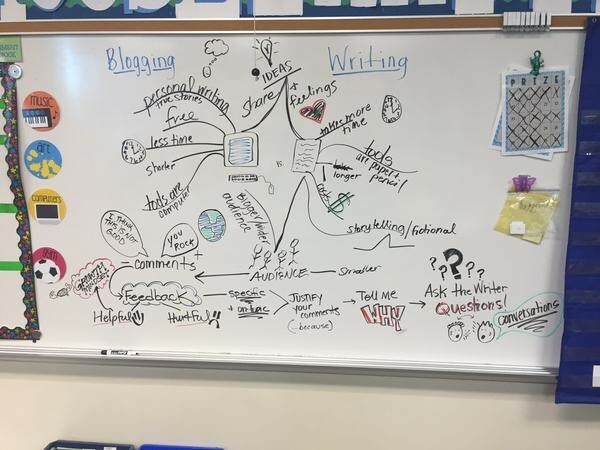 We created a mindmap that shows how blogging and writing are similar, yet different. Students identified nuances of online writing and digital dialogue. Students then explored some blogs to determine what a blog should include, and we have written our own blog posts on kidblog.org - ask your child to share his/her work with you! Noble Crossing will be offering a Digital Citizenship Parent Night "Understanding Your Digital Native" on Tuesday, October 27 from 6:00-7:00 PM. We will begin in the Noble Crossing LGI room and move to classrooms for student led sessions about blogging, ePortfolios, creation tech tools, and digital citizenship. We hope to see you here! If you have any questions contact jessica_homan@nobl.k12.in.us. LITERACY – We will turn our attention to learning how to discuss and talk about our reading in a justifiable way by providing evidence for our thinking. We will begin another set of book clubs as soon as we return and use this format to engage in deeper, richer, more meaningful conversations. WRITING – We will begin our unit on persuasive and opinion writing. MATH – We will begin Unit 4 when we return from Fall Break, which focuses on division and measurement. This is a short unit, so plan on a test Friday, November 6th. SPELLING – We resume spelling the week we return from fall break. Students who averaged above a 90% on 4th grade words will move on to 5th grade spelling words this quarter. 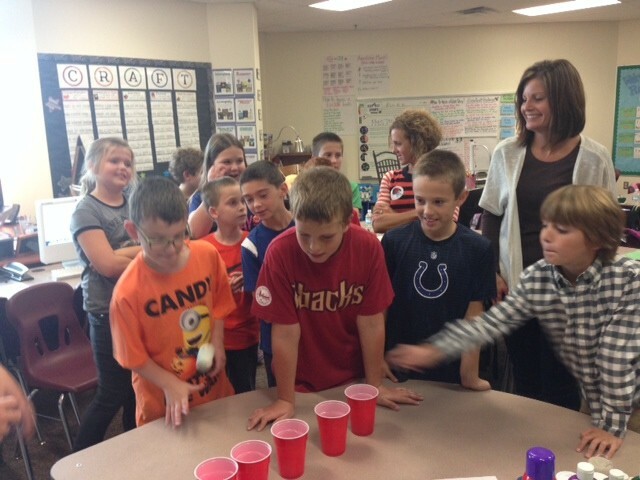 SCIENCE – We begin our unit on Force and Motion when we return from Fall Break. 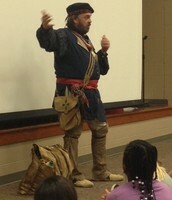 SOCIAL STUDIES – We wrapped up unit 2 in Social Studies, which investigates Indiana's early natives. Students will create an informational brochure that answers the essential questions: How did the Native Americans adapt and use land features? How do people handle conflict? How do different groups influence others? We will pause our learning in Social Studies to focus on our Science standards. TIPS - We will continue to use Time for Kids magazines to explore nonfiction text features, and small groups will meet to practice skills identified as areas of need from NWEA testing. Looking to enrich your child's learning? Take them to Connor Prairie's Lenape Indian Camp! We have learned about the Lenape in our Social Studies text. What better way to enrich your student's understanding, than to let him/her see an authentic-style camp? Visit http://www.connerprairie.org/Places-To-Explore/Lenape-Indian-Camp for more information!